Brucite is a hydroxide of magnesium with the composition Mg(OH)2 . This sample is about 14x7 cm and is from the Ethel Mine, Mtoroshanga, Zimbabwe. These samples of Brucite are displayed in the Smithsonian Museum of Natural History. 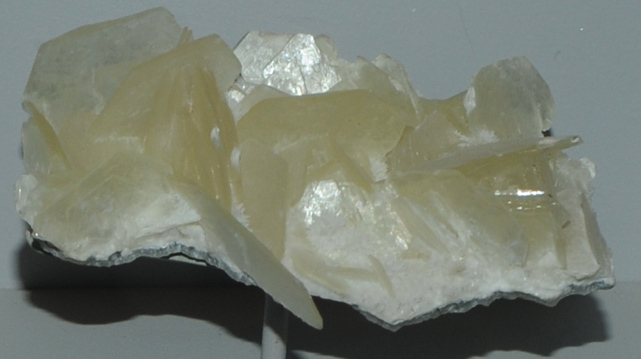 This clear sample of Brucite is about 9x5 cm and is from Cedar Hill quarry, Lancaster County, Pennsylvania.